Third-quarter earnings season is about 75% of the way through, and the results thus far have been mixed. By and large, Q3 earnings and revenues are topping expectations, creating plenty of opportune stocks to buy. Nearly 80% of all the companies that have reported have topped Q3 earnings expectations. That is above the five-year average beat rate. Meanwhile, more than 60% of companies that have reported so far have topped sales expectations. That is also above the five-year average. Perhaps, more impressively, the blended growth rate for earnings is nearly 25%. If this rate persists through the remainder of the quarter, it will mark the second highest earnings growth rate for the market since 2010, when companies were climbing out of the recession. But, while earnings have been very good, guidance has been quite weak. The number of companies that have delivered negative fourth-quarter guidance outnumbers the number of companies that have delivered positive guidance nearly two-to-one. This is a sign that economic growth is slowing, and that analyst estimates for growth in 2019 and after are too optimistic. As such, some stocks are rallying on strong Q3 earnings while others are dropping on weak Q4 forecasts. With that in mind, let’s now take look at 15 stocks to buy or sell, which have been either big winners or losers this earnings season. One of the few FAANNG stocks to buy to surprise this earnings season was Facebook (NASDAQ:FB). 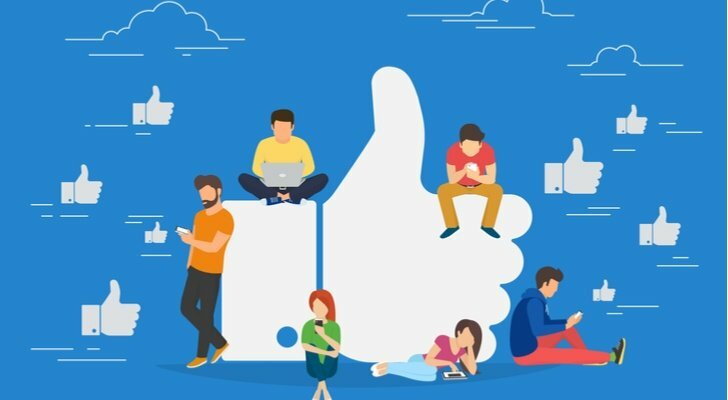 Facebook’s third-quarter report beat bottom-line expectations but missed top-line expectations as user and ARPU growth slowed. That didn’t really excite investors looking for stocks to buy. What did excite investors was Facebook’s Q4 guide, which called for less revenue deceleration than previously forecast and also a slower spend ramp than expected. Investors rallied around this better than expected guide, and FB stock popped. Going forward, it looks this stock should be able to continue this rally. FB stock has been really beaten up on slowing growth and rising spend concerns. But, the stock now trades in deep discount territory, and the Q4 guide implies that revenue growth deceleration and rising spend are moderating. Once those headwinds fully moderate, and margins and growth stabilize, FB stock will be seen by the market as tremendously overvalued, and rally in a big way. 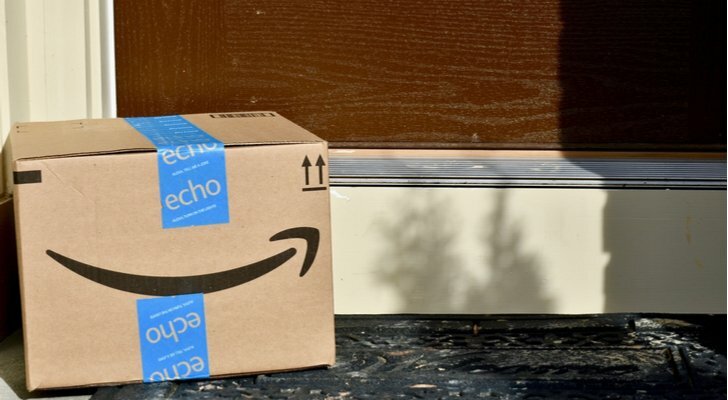 While Facebook impressed with its Q3 report, e-commerce giant Amazon (NASDAQ:AMZN) disappointed. Earnings smashed expectations, as profit margins at Amazon continue to move higher thanks to enhanced scale in the retail business and rapid growth in the high-margin cloud and advertising businesses. But revenues missed expectations, and the fourth-quarter revenue guide also came in light of expectations. The big story on the weak revenue print and guide is that Amazon’s retail growth is dramatically slowing, implying that others in the e-commerce space are starting to catch up and that the days of Amazon owning digital retail are over. AMZN stock dropped big in response to the Q3 print. But, the selloff seems slightly overdone. Granted, the retail business is slowing, and the days of Amazon online retail owning 50% of the e-commerce market are over. But, online retail isn’t this company’s big growth driver anymore. Cloud and digital advertising are the big growth drivers. 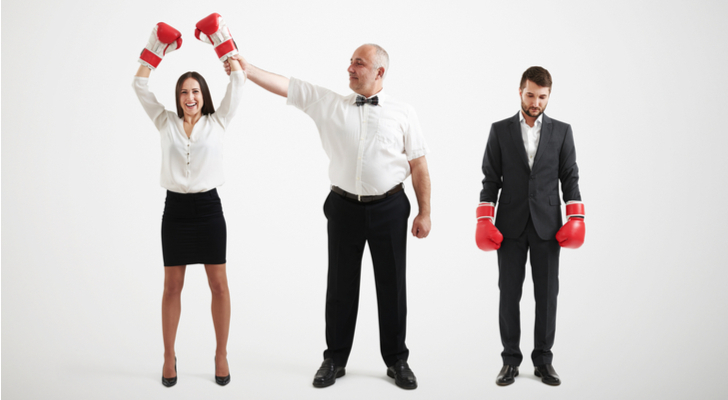 Those businesses also have far higher margins than the retail business. Thus, going forward, margins should impress and earnings growth should be robust enough to power AMZN stock higher, even in light of weaker revenue growth. Joining Facebook in the Q3 earnings winner column is fellow FAANNG company Netflix (NASDAQ:NFLX). Third-quarter numbers at Netflix were really good. Revenues met expectations. Earnings topped expectations. Importantly, subscriber growth zoomed past management’s guide and Street estimates, while margins continued on their upward path and impressed during the quarter. Investors rallied mostly around the big subscriber beat, and NFLX stock jumped after the Q3 print. The stock has since given up all of those gains on broader tech market weakness and weak reports from other FAANNG companies. But, this is a dip in NFLX stock investors should consider buying. Indiscriminate selling across the whole tech sector pushed all tech stocks down in October. But, some of those stocks had really good earnings, which underscore still improving fundamentals. 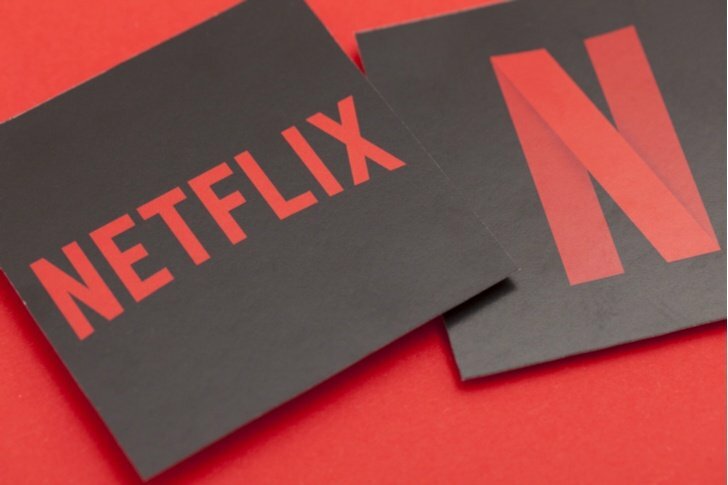 Netflix is one of those stocks to buy. As such, once this indiscriminate selling ends, NFLX stock should bounce back up and recover most of its October losses. 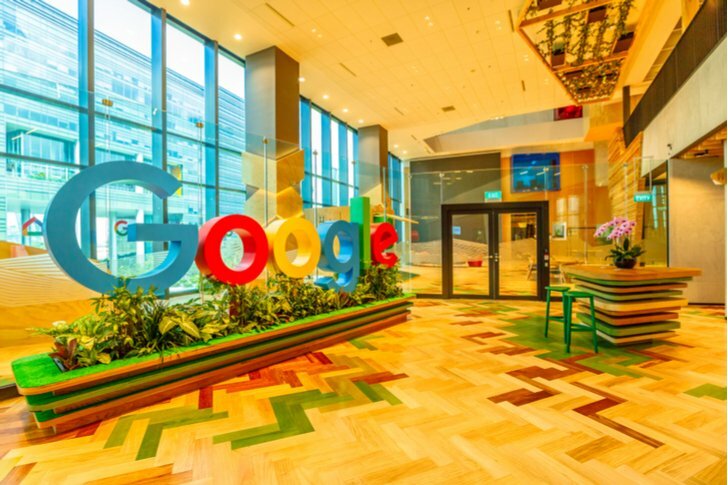 While Netflix popped after Q3 earnings, digital search giant Alphabet (NASDAQ:GOOG) dropped after its Q3 report. Alphabet’s third-quarter numbers were good but they didn’t live up to the hype. Earnings smashed expectations, but revenue missed expectations and huge traffic acquisition costs once again became a problem and weighed on margins. Investors focused mostly on the revenue miss (it was the company’s first revenue miss in more than two years), and GOOG stock dropped after the report. In the big picture, the revenue miss isn’t that big of a deal. This is still a 20%-plus growth company with a slowing digital advertising business but ramping growth elsewhere in the Cloud and IoT. Margins are a concern going forward, and until that headwind reverses course, it is tough to see GOOG stock exploding back to $1,300. But as it approaches $1,000, GOOG stock looks awfully cheap, and it is equally hard to see GOOG stock languishing around these levels for long. As such, this is a dip worth considering. 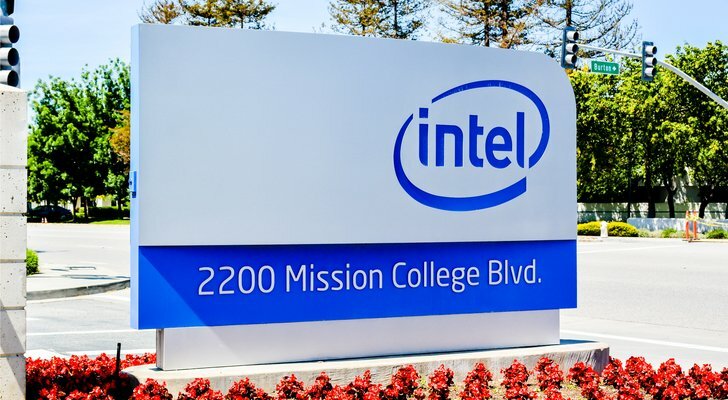 The semiconductor industry has been beaten up recently, but Intel (NASDAQ:INTC) bucked that trend with a strong Q3 report. Intel’s third-quarter earnings report was a clean double-beat-and-raise report. Earnings smashed expectations. So did revenues. The revenue and profit guides were both lifted to above-consensus marks. Importantly, the data-center business got back on track in the quarter, and easily topped estimates with 26% growth. Investors rallied around renewed data-center growth, and INTC stock jumped. INTC stock has maintained this upward momentum ever since, and will likely continue to maintain this momentum for the foreseeable future. This is a stock that was beaten up over the past several months due to concerns about competitors stealing share in the all-important data-center markets. Q3 earnings, which comprised 26% data-center growth, affirmed that this isn’t happening. Thus, INTC stock is on track to regain all its lost ground, and that implies a rally back to levels above $50. 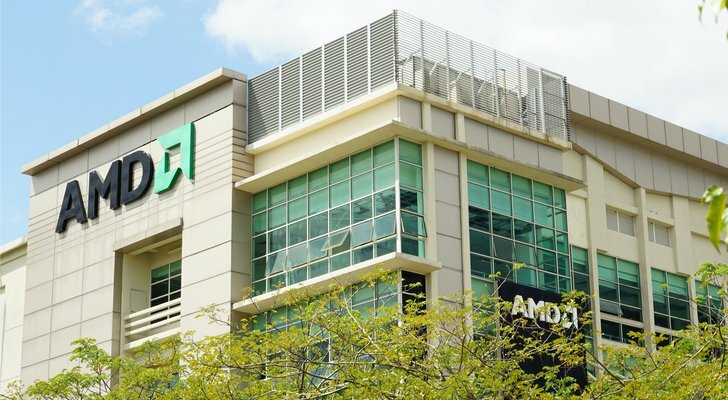 While Intel popped on Q3 earnings, competitor Advanced Micro Devices (NASDAQ:AMD) sunk in a big way following its Q3 report. AMD’s third-quarter report was good, but not good enough. Earnings topped expectations, but only by a penny. Meanwhile, revenues missed expectations, and the fourth quarter guide came in well below estimates. For any stock, a revenue miss and weak guide would naturally cause the stock to fall. But, for AMD which had rallied in a huge way into the print, a revenue miss and weak guide naturally caused a big drop. AMD stock has yet to recover from that fall. It won’t recover anytime soon. Much like Intel stock was sold off on market share erosion concerns, AMD stock was bid up on market share expansion hopes. But Intel’s big quarter and AMD’s weak quarter implies that AMD isn’t yet gaining that much share where it matters most: in the data-center market. Until AMD proves they are gaining share in that market, it will be tough for AMD stock to reclaim its previous highs. Social media stocks have been a tough investment recently, but Twitter (NYSE:TWTR) recently reported third-quarter numbers that the market widely celebrated. 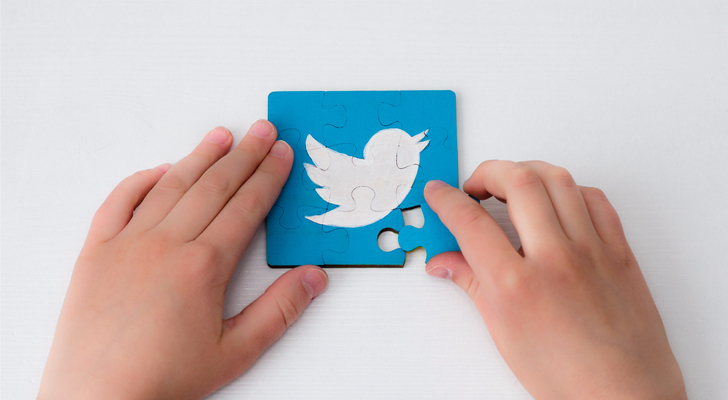 Twitter’s third quarter was much better than expected. Earnings came in ahead of expectations. So did revenues. While user growth disappointed and the user base actually continued to shrink, Twitter’s unit revenue growth trends continued to impress, the ad business easily topped expectations and margins continued to power higher. Investors focused on the strong ad growth and improving margins, and TWTR stock rallied. The stock has largely maintained its momentum ever since, and with good reason. TWTR stock had been sold off in a big way due to concerns that renewed ad growth was going to slow and margins were going to top out. Neither of those is happening. As such, TWTR stock is regaining some of the ground it lost over the past few months. Fundamentally speaking, this current rally is supported to $35. But, upside thereafter will be tough to come by due to valuation friction in what is a market exceedingly concerned by valuation. 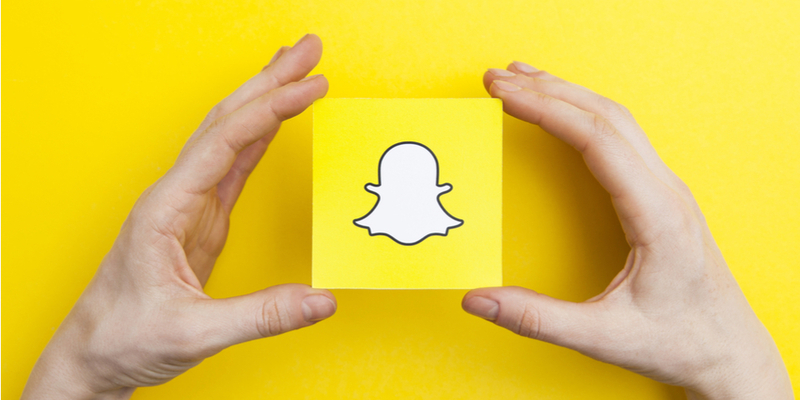 Although its peers Facebook and Twitter popped after their Q3 prints, Snap (NYSE:SNAP) continued its slide after its most recent earnings report. Snap topped revenue and earnings expectations. But that wasn’t enough to lift the stock because the user base continued to shrink and the fourth-quarter revenue guide wasn’t all that great. SNAP stock trades at 8X trailing sales. At those levels, Snap needs to beat on everything for the stock to pop. Instead, the company missed on some key metrics. Consequently, SNAP stock plummeted. The reality of SNAP stock is that the stock needs to give investors three things to justify its current valuation. Those three things are a clear pathway to profitability, user base stabilization and preferably user growth, and improving monetization trends. The third-quarter report gave us improving monetization trends. But, the user base is still dropping, and with the user base in decline, the pathway to profitability is less clear. Thus, until the user base moderates, SNAP stock will have a tough time rallying. 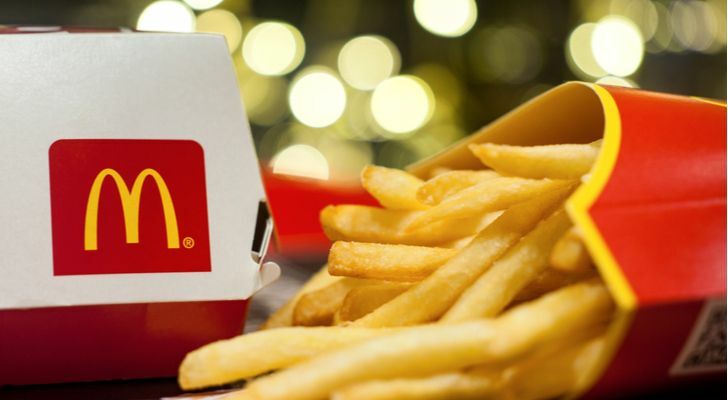 Fast-casual giant McDonald’s (NYSE:MCD) proved its dominance atop the global restaurant industry with its third-quarter report. McDonald’s third-quarter report was very strong. Earnings topped expectations. Revenue topped expectations. Comparable sales topped expectations, and rose an impressive 4.2% in the quarter. Price hikes contributed to growth. So did traffic growth. Margins expanded. Overall, the quarter was impressive on every critical operating metric. The long-term growth narrative supporting MCD stock remains quite favorable. McDonald’s dominates on the two things that matter most in the fast-casual industry: price and convenience. They have also adapted their menu to be more trendy and health-conscious. As such, the growth drivers are in place for MCD stock to be both a near- and long-term winner. 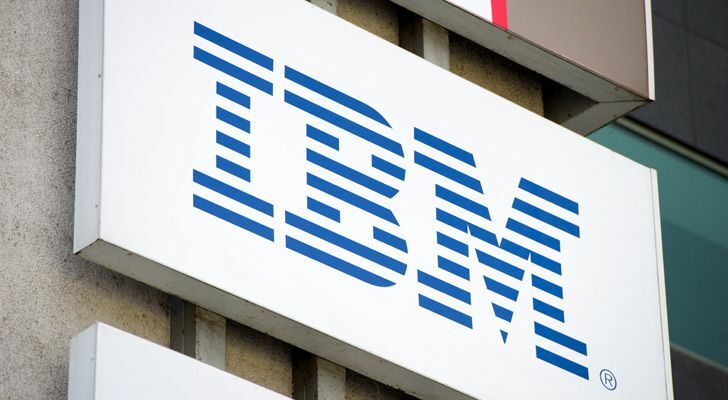 Slow growth giant IBM (NYSE:IBM) wasn’t able to buck its slowing growth trend in Q3, and as such, IBM stock has been a big loser this earnings season. IBM’s third-quarter report wasn’t very good. The company topped earnings expectations. But, that is where the good news ends. Revenues came in shy of expectations, and revenue growth dropped back into negative territory. Cloud revenue growth continued to slow. Gross margins were flat. The earnings guide was simply maintained and not hiked despite the Q3 beat. Overall, IBM’s quarter was one piece of good news and multiple pieces of bad news. But the big drop in IBM stock seems overdone. Down at $115, IBM stock seems woefully undervalued considering its recent Red Hat (NYSE:RHT) acquisition which should supercharge revenue growth and pull up margins. As such, this is a post-earnings drop worth looking into. Much like McDonald’s did in the food industry, Coca-Cola (NYSE:KO) flexed its muscles as the top dog in the beverage industry with its third-quarter report. Coca-Cola’s third-quarter numbers were very impressive. Headline revenues and earnings topped expectations, and the optimistic guide was maintained. The quarter comprised 6% organic revenue growth, nearly 600 basis points of operating margin expansion, and 14% earnings growth. Those are impressive numbers, and they speak to the secular growth nature of this company. The most important takeaway from Coca-Cola’s Q3 report is that the company is appropriately and effectively diversifying away from sugary carbonated drinks. The big growth in the quarter was driven by teas, juices, sports drinks and premium waters. Moreover, Coca-Cola is making a big dive into coffee. Overall, Coca-Cola has gone from sugary carbonated beverage company to global beverage giant with a wide portfolio of products that span multiple beverage categories. As such, KO stock is a pure-play on the entire beverage industry, and this industry is one marked by unprecedented stable demand. This stability ultimately guarantees healthy performance from KO stock. 3D printing giant 3D Systems (NYSE:DDD) was once of 2018’s best performers. Then, Q3 earnings hit, and DDD stock dropped in a big way. Third-quarter numbers from 3D Systems simply weren’t good enough to support the stock’s year-to-date rally. Heading into the report, you had a stock that was up more than 80% year-to-date. 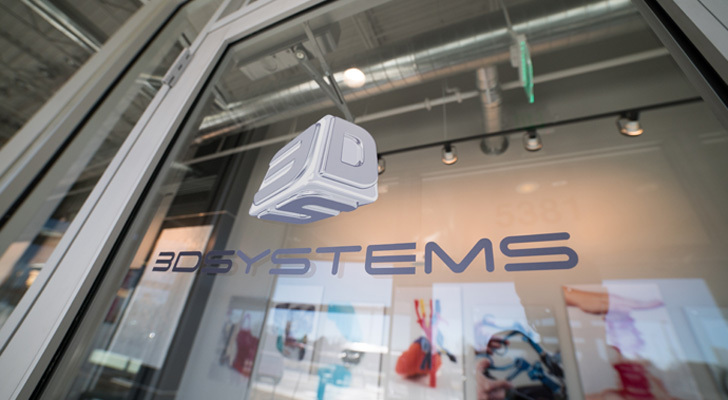 But, 3D Systems’ third-quarter report was a double miss with weak underlying revenue growth and margin expansion trends. As such, DDD stock dropped in a big way. The reality about DDD stock, and the whole 3D printing industry, is that the stock isn’t supported by robust secular growth trends. As opposed to a 3D printing revolution playing out over the next several years, what you will get is gradual 3D printing growth through accelerated industrial adoption. This growth will support DDD stock at reasonable valuation levels. Over the past three years, DDD stock seems to have found a valuation floor at 1.6X trailing sales. DDD stock currently trades at 2X trailing sales. Thus, until that multiple falls down to 1.6, DDD stock doesn’t look too attractive on the dip. 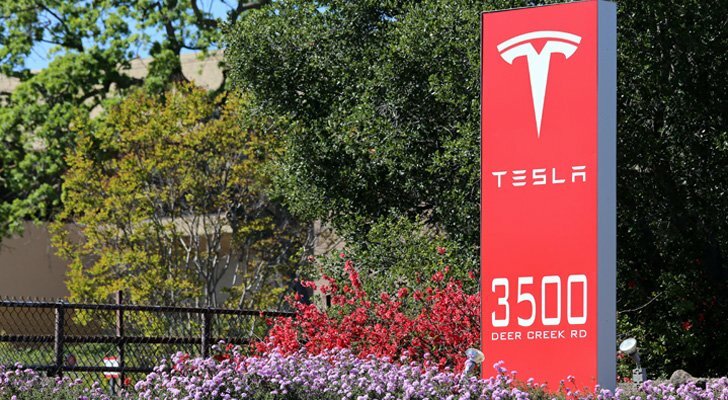 Although there were many doubters heading into the print, Tesla (NASDAQ:TSLA) smashed third-quarter expectations and the stock rallied in a big way. Tesla’s third-quarter numbers were very good. Revenues and earnings topped expectations, while margins and deliveries continued on their healthy and impressive upward trajectories. Importantly, Tesla reported a big profit for the first time in several years. The market rallied around this surprise profit, and TSLA stock jumped after the Q3 print. The stock has largely maintained this upward momentum ever since, despite broader tech market weakness. This is a healthy sign. It increasingly looks like Tesla has turned the corner, with Model 3 production ramping to levels which will efficiently meet demand and profits margins now in positive territory. If Tesla can show that last quarter’s big growth and positive margins are the new normal, then Tesla stock should continue to head higher. Much like 3D Systems, furniture e-retailer Wayfair (NYSE:W) was once one of the hottest stocks in 2018. But, the stock has cooled considerably over the past few weeks, and weak Q3 earnings are a big reason why. Wayfair reported third-quarter numbers at the beginning of November which underscored this company’s biggest problem: its lack of profits. Revenues topped expectations and continued on their robust growth trajectory. But EBITDA loss and net loss were both much wider than expected, and margins in both the domestic and international business are dropping. 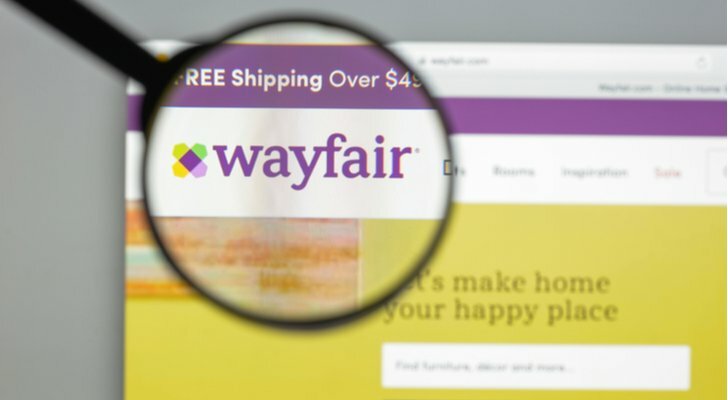 Investors focused on the company’s persistent profit woes, and Wayfair stock dropped big after the Q3 report. The reality about Wayfair stock is that it won’t reclaim previous highs until the company gives investors a reason to be constructive on long-term profitability. In the IR deck, management lays out optimistic long-term positive margin targets. Those targets seem reasonable. But, current trends indicate those margins are far, far away, and because discount rates are rising, those far, far away profits are worth less today than they were a few months ago. As such, until margins improve, Wayfair stock will have trouble bouncing back. 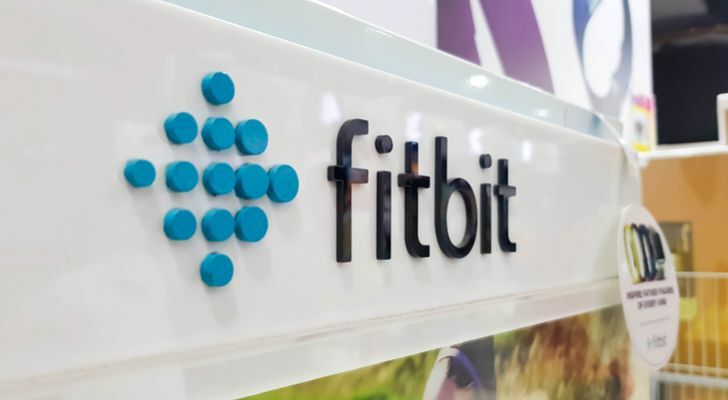 Left-for-dead consumer technology company Fitbit (NYSE:FIT) surprised investors with shockingly strong third-quarter numbers that imply that the worst for this company may be in the rear-view mirror. Fitbit’s third-quarter report included better-than-expected revenues and earnings, a surprise adjusted profit, and an above-consensus Q4 guide. The most important takeaways from the report are that unit sales and margins are both starting to stabilize, implying that the worst may be over for Fitbit. Going forward, this stock should be able to head higher. Before, this was a struggling wearables company with declining share and falling margins. Now, this is a re-invented smartwatch company with rising share and stabilizing margins. This shift in narrative should ultimately power Fitbit stock higher in the foreseeable future, so long as valuation remains reasonable. On the other side of the consumer technology story is GoPro (NYSE:GPRO). Whereas Fitbit’s third-quarter numbers implied improvement going forward, GoPro’s third-quarter numbers implied that this company remains in the midst of a rough transition. Earnings and revenues topped expectations in GoPro’s third-quarter report. But, gross margins missed estimates, and margins aren’t showing any signs of stabilizing. Nor are revenues, which have been in free-fall for a while now. 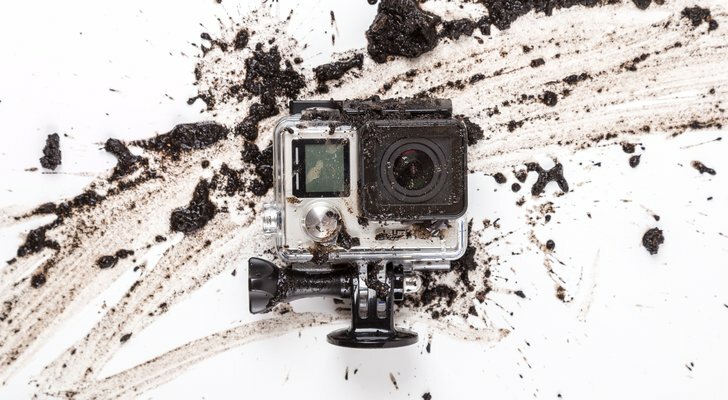 Overall, GoPro’s third-quarter numbers affirm that the worst isn’t in the rear-view mirror for this company. GPRO stock is a classic “buy the dip, sell the rally” stock. Dips to $5 have been buying opportunities. Rallies to $7 have been selling opportunities. GPRO stock is currently dropping to $5. Considering there is some hope for new camera sales this holiday season, I am somewhat constructive on GPRO stock at current levels, and believe this is yet another opportunity to buy the dip. As of this writing, Luke Lango was long FB, AMZN, NFLX, GOOG, INTC, MCD, IBM, KO and TSLA. Article printed from InvestorPlace Media, https://investorplace.com/2018/11/15-winners-losers-stocks-to-buy-earnings-season/.